Widely regarded as a gourmand’s paradise, Fukuoka has long served as the gateway to China and Korea, which is less than 200km away. It is surrounded on three sides by the sea and located very close to beautiful mountains, making it a perfect location for sightseeing, hiking and many water sports. 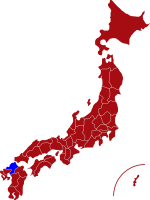 Within the prefecture there are four main areas: Fukuoka, Kitakyushu, Chikugo and Chikuho each of which has its own unique tourist attractions, hot springs, local cuisine and shopping facilities. 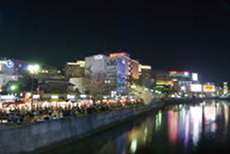 Fukuoka city is the home to a number of beautiful museums and art galleries as well as numerous sporting events and festivals The most notable festival being the famous Hakata Gion Yamakasa, a 700 year-old celebration which takes place in July and lasts for two weeks. Fukuoka Airport is regarded as Japan’s most easily accessible airport and is only 11 minutes away from the city centre. For more information about Fukuoka prefecture, see their official tourism website. Air - There are two main airports in Fukuoka both of which offer flights to Tokyo and other major Japanese cities. Fukuoka airport is connected to Fukuoka City by a short rail trip. Click here for its English website. The smaller Kitakyushu (north Kyushu) airport offers domestic flights. It is built on an artificial island off the coast of Kyushu and buses take passengers to and from nearby rail stations and bus terminals. Click here for its English website. Rail - The main station in Fukuoka is called "Hakata". There are regular "bullet trains" from Tokyo and other major Japanese cities. 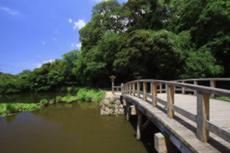 Yusentei Park - The original garden was built in 1753 as a second home for the 6th Lord of Fukuoka and is regarded as one of the finest examples of a classic Japanese garden. 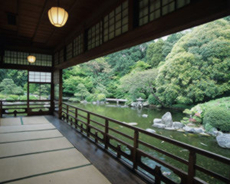 Visitors can enjoy the beautiful view from the main building and participate in a traditional Japanese tea ceremony in one of the two large tatami rooms. Yatai outdoor food stalls are considered a 'must experience' for tourists to Fukuoka. The stalls are scattered around the city where visitors can enjoy many different types of local cuisine local Japanese dishes such as the famous 'Hakata ramen'. 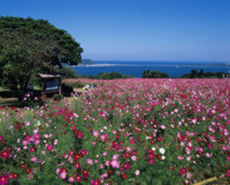 Nokonoshima Park regarded as one of Fukuoka’s “hidden treasures”, Nokonshima Island also known as ‘flower garden’ is a natural park covering a total area of over 150,000 square metres. Maizuru Park The park,home to Fukuoka Castle ruins, is considered as one of the best spots to view cherry blossoms in the city.